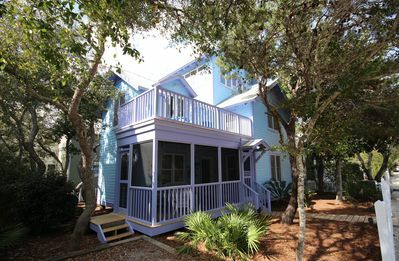 Two story Sandy Pearl Cottage has an open family room, dining room, and kitchen for great family and friend gatherings. 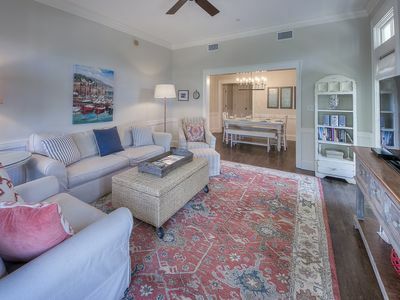 There is plenty of space to relax via family rooms on both floors with space for everyone's comfort. Each floor has its own master suite. 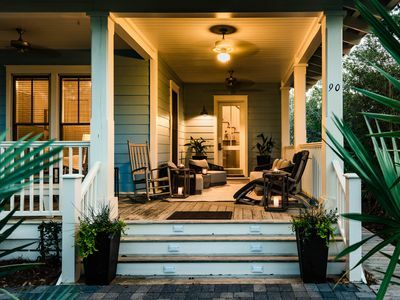 There are two screened first floor porches, two open air balconies, and beautiful amenities to enjoy. 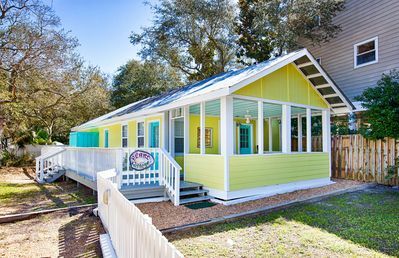 Features of the home include granite throughout, heart of pine floors in living areas, carpet in the bedrooms, tiled baths, cable TV, WiFi, ceiling fans in all sleeping areas, gorgeous views of the Gulf of Mexico. 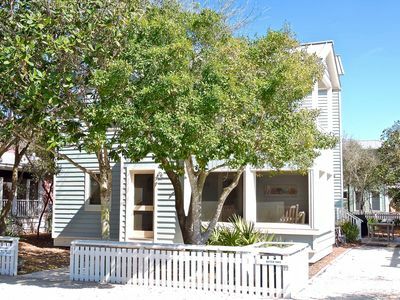 With a home away from home atmosphere Sandy Pearl Cottage is a great place for that special vacation with family and friends. The first floor features a master bedroom which has a private bath with a huge glass shower, jetted tub, double vanities, two queen beds, flat screen TV, and reading area. The second bedroom features a queen size bed, with private bath with shower, intimate screened porch with Adriondack chairs. 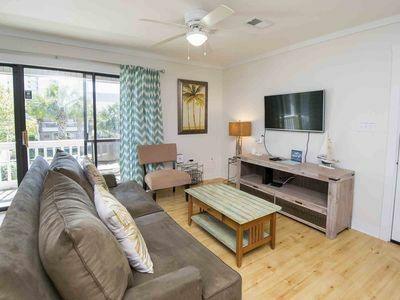 The first floor bedrooms are connected by a family room with a flat screen television, daybed sleeping area with two twin beds, private bath with double vanities and shower. The full size laundry is on the first floor. The second floor master suite contains a king size bed, flat screen TV, large desk for your enjoyment or any work tasks and a master bath designed to relax and refresh the soul. The master bathroom has a large separate glass shower, jetted tub, double vanities and plenty of space to relax. 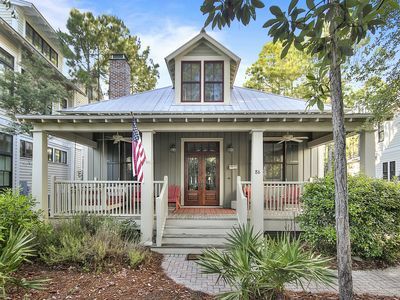 The master is a spacious retreat to kick back and enjoy the beautiful view of the preserve behind the house. The gourmet kitchen is spacious, warm, and inviting with stainless steel appliances and craftsman style finishes. There is plenty of cabinet and counter space to entertain family and friends. The spacious pantry connects the kitchen bar area with the dining room. The dining table seats six comfortably with an eat in bar seating four more. The family room is stylish and is the center of the home with a half bath for guests who take advantage of the sleeper sofa. 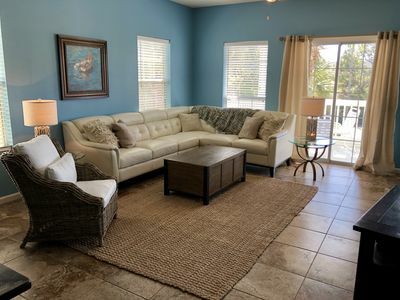 The family room has comfortable seating with two balconies with views of the Gulf of Mexico. 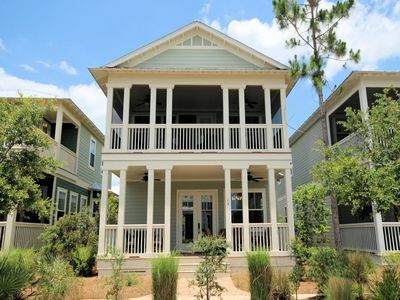 Sandy Pearl Cottage is located in Cypress Dunes which is a gated community on the beach side of 30A at the west end. 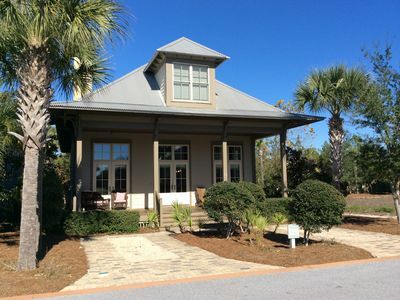 Cypress Dunes is nestled between Topsail Hill Preserve State Park and the Gulf of Mexico. We do not have direct access to the beach because of the astonishingly beautiful but protected State Park dunes. 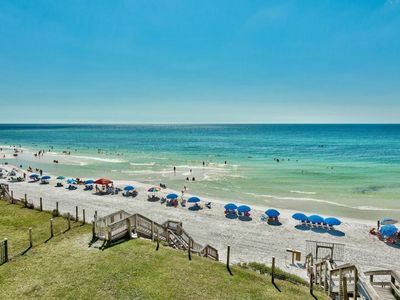 The beach access is a short bike ride or drive away. 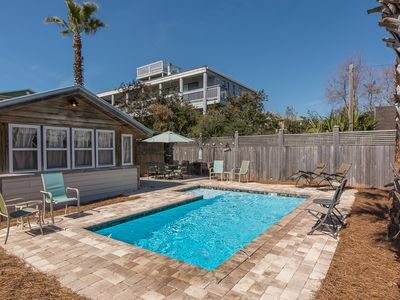 This John Willis neighborhood has walking trails, tennis courts, a huge infinity pool overlooking the Gulf of Mexico, fitness center, hot tub, outdoor fireplace, and spectacular views from the pool deck and upper level deck. 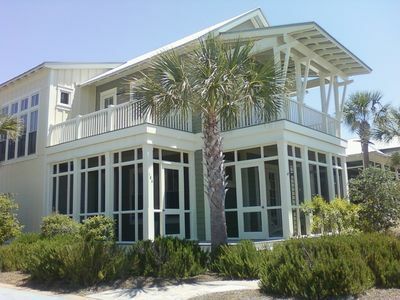 Palms at Seagrove C09 - Your spring NW Florida vacay awaits. 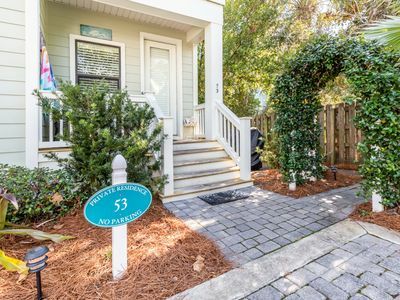 Steps to Beach Club & Shops | Newly Renovated 2 BR + Bunk | Perfect Family Spot! Executive Access Home! Park District. Fireplace. Close to Seaside! 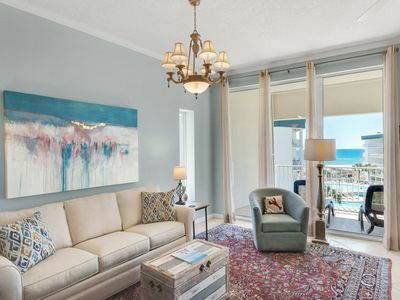 Delightful Condo in 30A - Knot A Worry at Beachwood Villas! 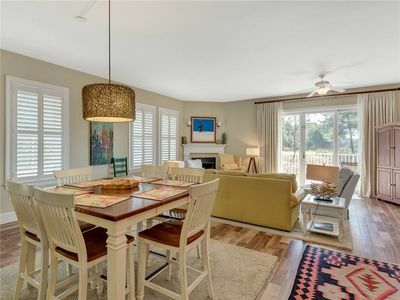 ~ Enjoy Tennis Courts and Community Pool! Private Beach. 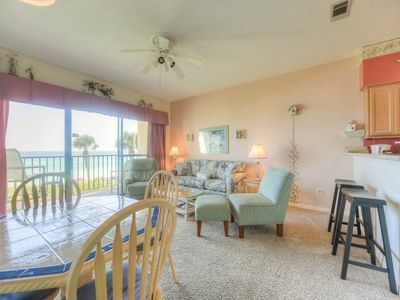 Beautiful Beachfront condo sleeps 8.